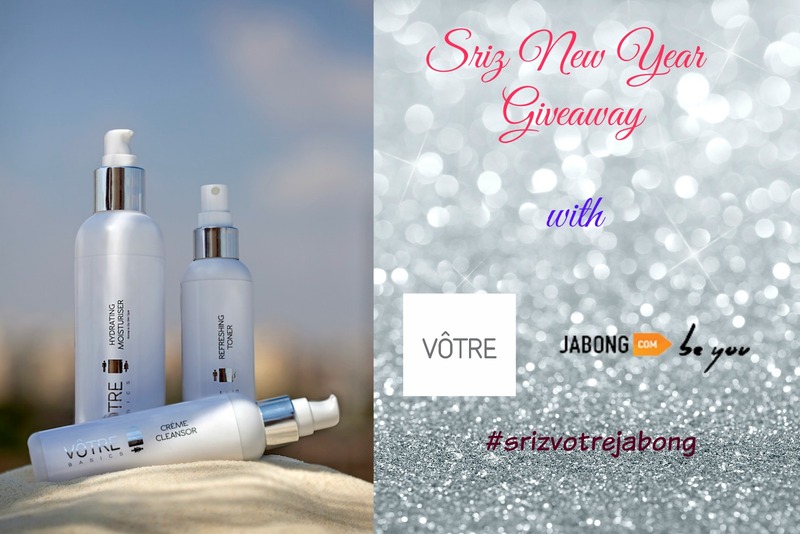 Sriz Beauty Blog: New Year Giveaway With Votre & Jabong- Closed!!! New Year Giveaway With Votre & Jabong!!! About Votre : “VOTRE” an Indian based finest cosmetic brand. VOTRE is India’s patented Bio-Cosmetic brand that offers 100% botanical, vegan & cruelty free products.All VOTRE products are clinically tested, Dermatological approved & 100% effective & safe.These products are Peta certified,ISO 9001 : 2008 Certified company.Currently selling in over 10 countries; Votre has already appeared online with prestigious online selling partners in India like jabong.com etc..,Besides the online E commerce sites, VOTRE is also featured on exclusive shopping tv channels in India like CNBC HOMESHOP 18, COLORS & STAR CJ SHOPPING TV channels. The backbone of VOTRE is an extensive skincare range that offers a vast array of products for Professional Use, Retail Chains, Direct Buyers, Importers and Boutique Hotels across the world. You can check out the entire range of Votre products here. There will be only one winner for this giveaway,who wins the gift hamper worth INR 1500 from Votre and Jabong!!! b)The giveaway is open till January 2nd and winners will be announced with in 1 week after the contest ends. 5) Share your most memorable or funny moment that had happened in this year 2015 in the comment section below or on our Facebook page !!! Winner will be picked based on highest number of shares using the #srizvotrejabong and gift hamper will be sent to the winner directly from the brand. The more you share,the more your chances of winning!! !